WE PROVIDE THE BEST CONTENT ON THE WEB! Providing enough content is likely the greatest challenge that marketers face as they try to provide value and keep your readers engaged. Some of the best-in-class content marketers are providing a mix of created and curated content, with created content making up 65 percent of the mix. Of course, content curating allows you to publish quality and relevant content on a regular basis, and this does a great job in supporting a critical component of your strategy, which is creation. Content creation, of course, can sometimes be overwhelming for organizations with limited staffs or for marketers that are already incredibly busy. 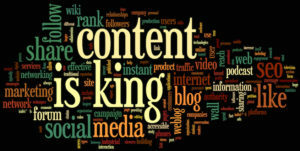 However, created content goes a long way to boosting your SEO and establish you as a leader in your field. Content marketing can’t be a part-time job. You need content writers to give you material on a consistent basis in order to keep your customers engaged. For organizations with limited resources, outsourcing to Software Development can be a viable option. 17 percent of marketers are now turning to freelancers for top notch content that’s relevant. The content writing service that Software Development boasts might be the answer you’ve been looking for to feed the content beast that keeps nipping at your heels.